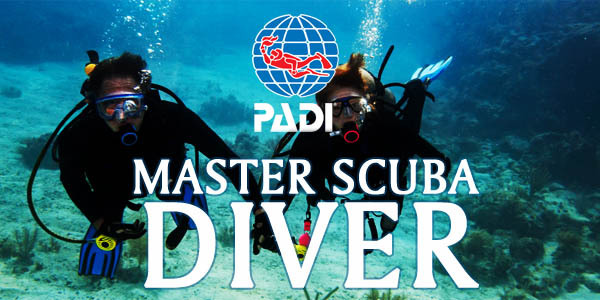 Master Scuba Diver is the highest non professional rating you can achieve. During the course you must complete 5 specialities of your choice, these can be gained over a period of time. Each speciality has a distinct criteria you must meet, which is why this course is the most prestigious (more details can be found on our Speciality Diver Courses A-Z section). A price for this course can be confirmed once the specialties are chosen.